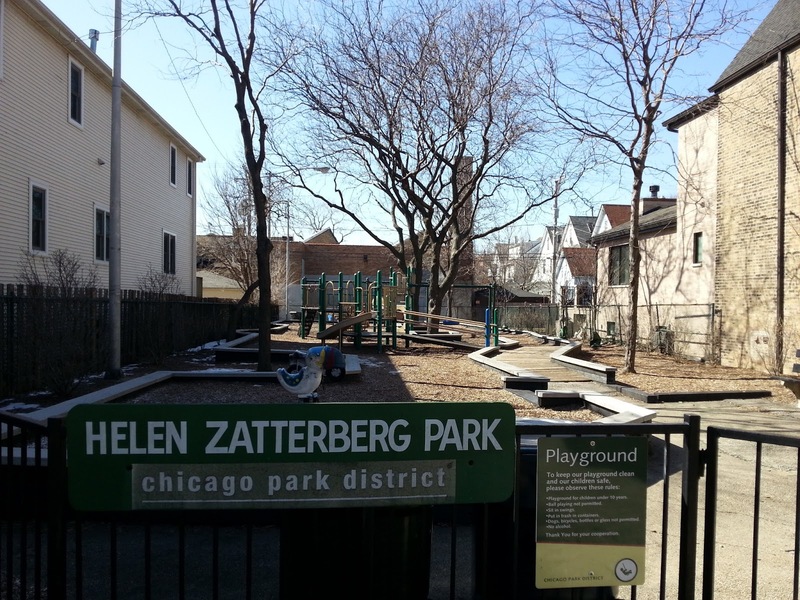 The terrific Helen Zatterberg Park and play-lot is tucked right into the gorgeous 4200 block of North Hermitage. 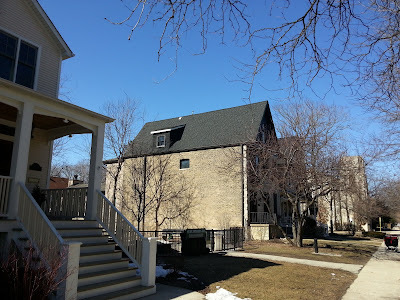 The neighborhood is known as "east Ravenswood" in the Lakeview Community Area according to our technical MLS boundaries...but, many "feel" this the North Center Community Area. North Hermitage from West Irving Park Road all the way north to West Lawrence is home to wide lots and some eye popping new construction and vintage homes. It's fairly rare to have a park directly between two single family homes on a residential block. 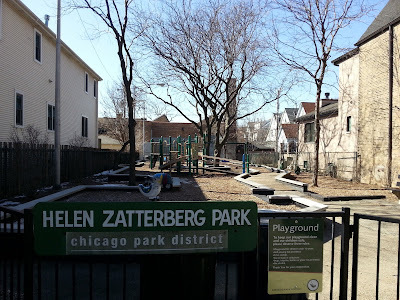 The park ads to the desirability and value of the 4200-4300 block of North Hermitage. There are only three single family home sales recorded in the MLS going back to 2007 and they range from $835,000 to $1,800,000. North Hermitage and the surrounding blocks between West Irving Park Road and West Montrose are highly desirable for single family home buyers due to the tranquil blocks and central location in the city.